ARE YOU READY….THE FINAL FANTASY FESTIVAL…STARTS TOMORROW!!!! The Start of the highly anticipated Final Fantasy Festival is now mere hours away! Come and celebrate the grand opening of The Final Fantasy 7 Lifestream Community Role Playing Sim. 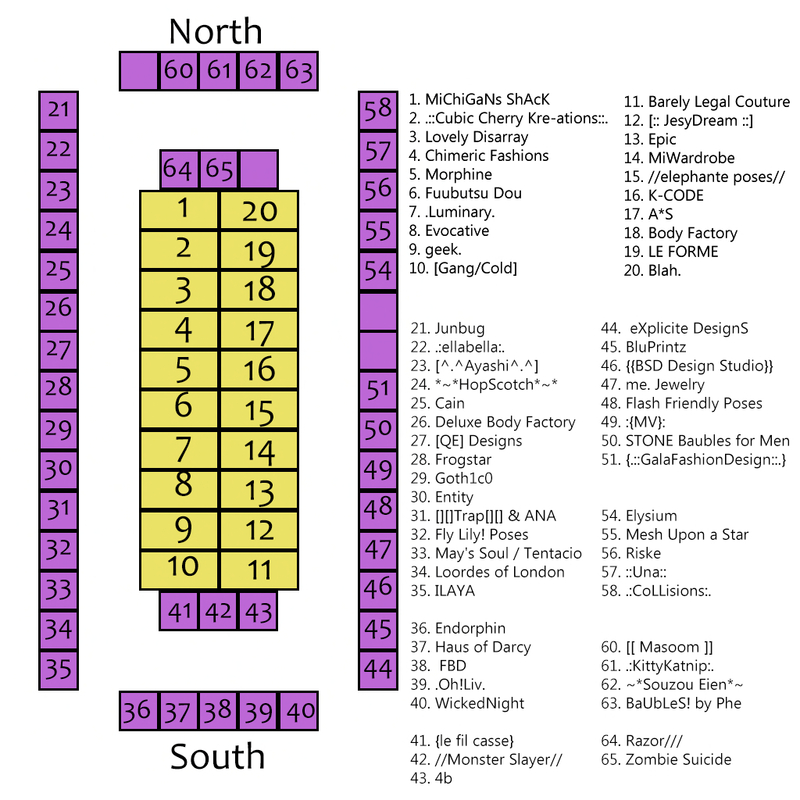 There is an incredible awesome list of designers, builders, scripters, and creators from through the whole of Second Life, who has come together make Final Fantasy Festival a resounding success! There will be shopping, till you drop, at the festival from February 7th through the 21st.The theme broadly encompasses everything Final Fantasy which is anything relating to video game, role playing, steampunk or cyberpunk. These land marks will become active February 7th! Jade Blossom, having been deliberately captured in a raid upon her village because the beauty of this lotus flower was evident, even under the many layers of mud upon her person. She was being led away into the servitude of concubinage. 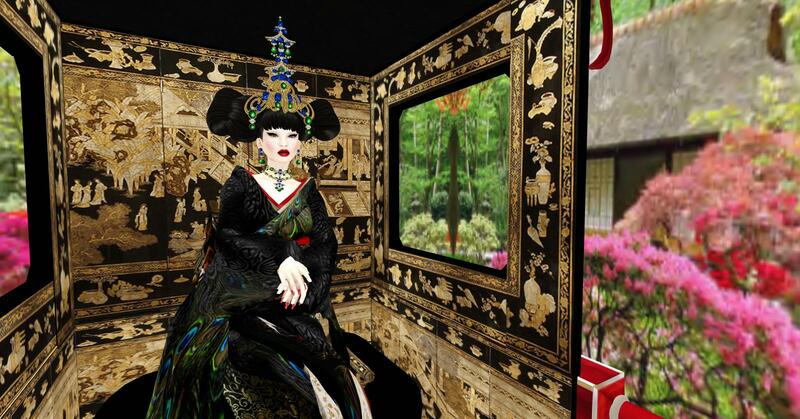 Jade Blossom was singled out, by the highest ranking Samurai, in all of China, bathed, massaged with perfumed oils, and dressed as if she was an imperial consort, to be given as a gift to the Shogun! 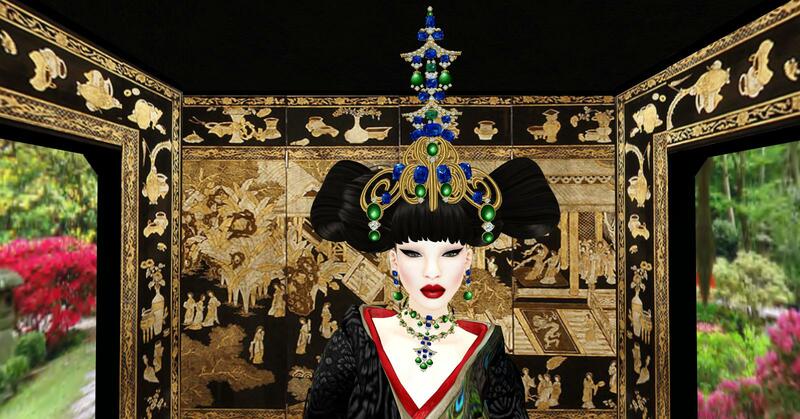 To honor the Shogun and to adorn her beauty, she was given an exquisite suite of jewels to wear, for her presentation, by the crown jeweler to the imperial family, Chop Zuey, named The Pagoda Passion. 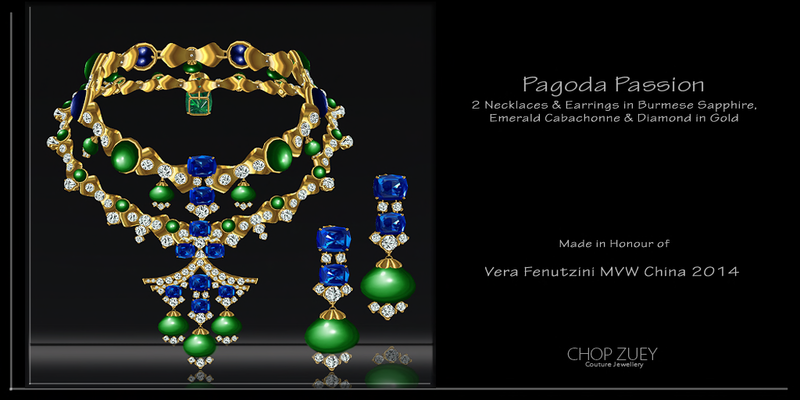 The superlative headdress, necklace, and earrings, were crafted from among the finest of the finest of rare jewels of the Burmese Sapphire, Emerald Cabachonne, and Diamond Stones set in a beautiful Gold Setting. The sheer cost of it was enough to feed her entire village for many years! This amazing and exquisite suite was a sight to behold upon Jade Blossom. 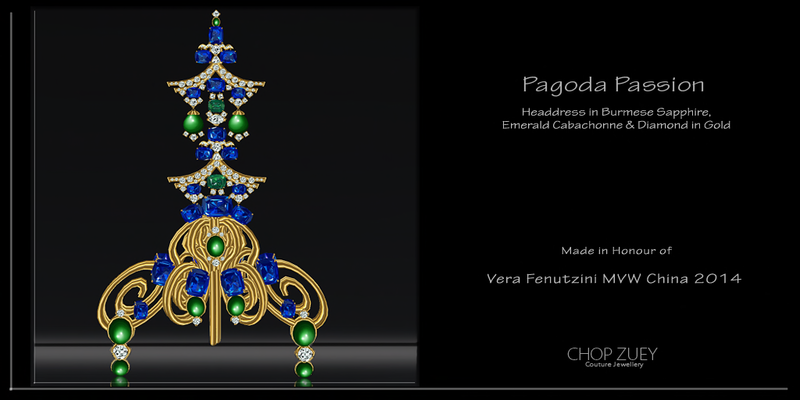 She knew not what her future would hold, but she knew at this moment, wearing The Pagoda Passion Jewels, and being carried in the stunning sedan made special for her journey, that life would have some beauty and pleasure in it for her.